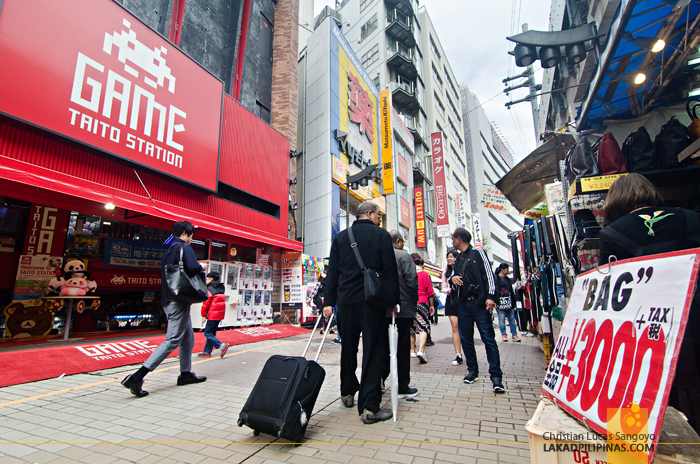 It’s confirmed, we’re staying in Tokyo for another full day. A few minutes before we actually went out of our lodging in Asakusa, Enaka Central Hostel, we checked our phone for our flight schedule and found that it has been rescheduled. Instead of a midmorning flight, we’re having our flight from Tokyo to Manila via Cebu Pacific at midnight due to the typhoon that just passed Japan. 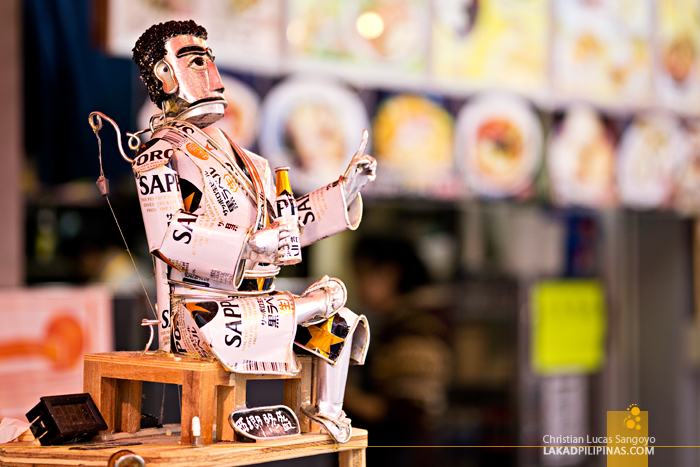 We cannot be more happy with this news! Quickly gathering our wits, we immediately formulated a plan. After visiting nearby prefectures like Nikko in Tochigi and Hakone in Kanagawa, a quick day tour of Tokyo was indeed in order. 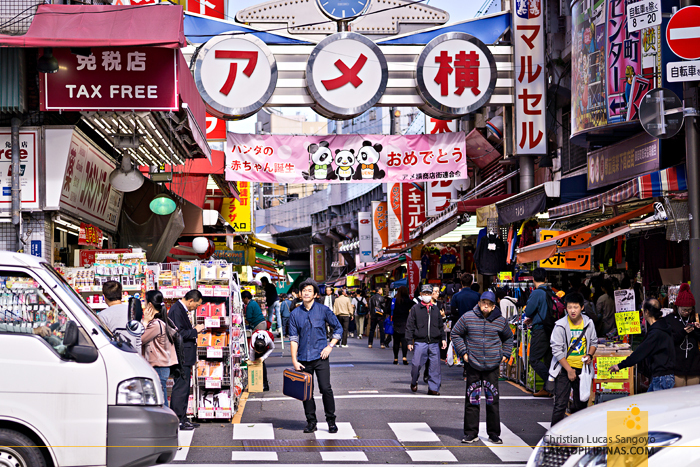 We consulted the Klook app for cheap Tokyo tours, but it was way too late to book one then. 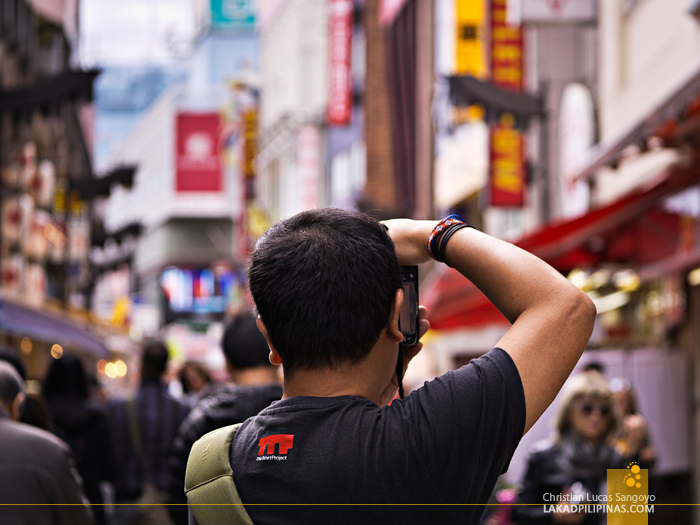 So, we did what we usually do best, do a Tokyo walk, DIY style. After a quick consultation at a nearby katsudon restaurant, we have a plan! 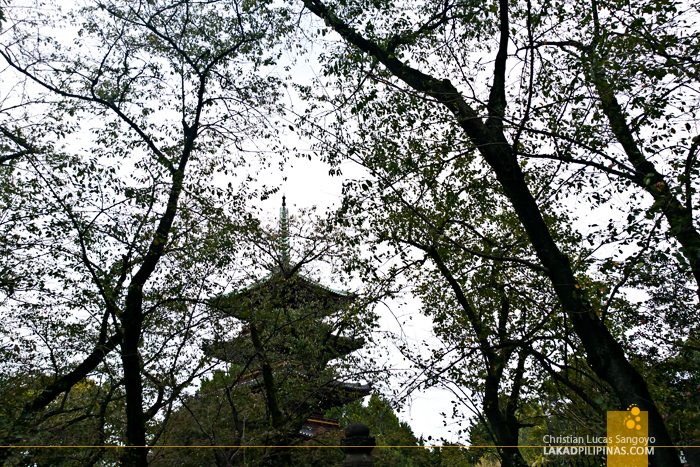 First we head over to Ueno to redeem our Klook Tokyo Skyliner voucher, which we would use later that afternoon to travel from the city to Narita Airport, then check out Ueno Park while at it. 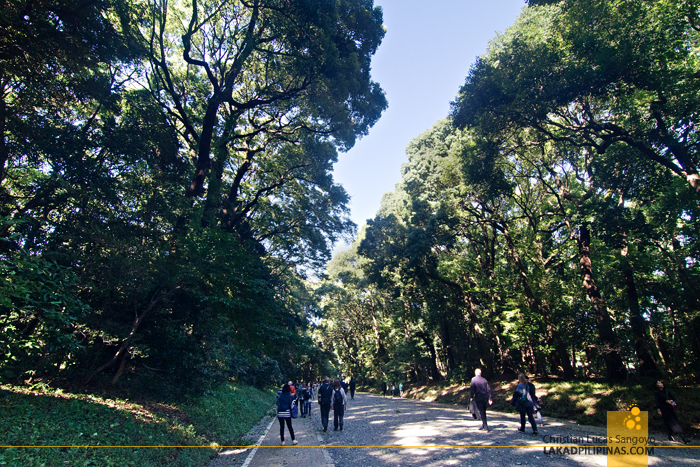 Tokyo Tower was next on our list, and the last one was Meiji Shrine. We took a pass on visiting the Senso-ji Temple, since we’ve been passing it daily en route to our lodging. 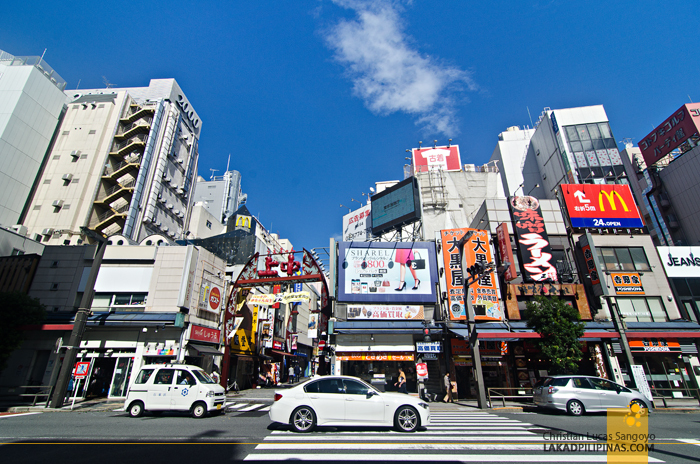 It’s a very loose itinerary and we got to see a bit more of Tokyo in between these. 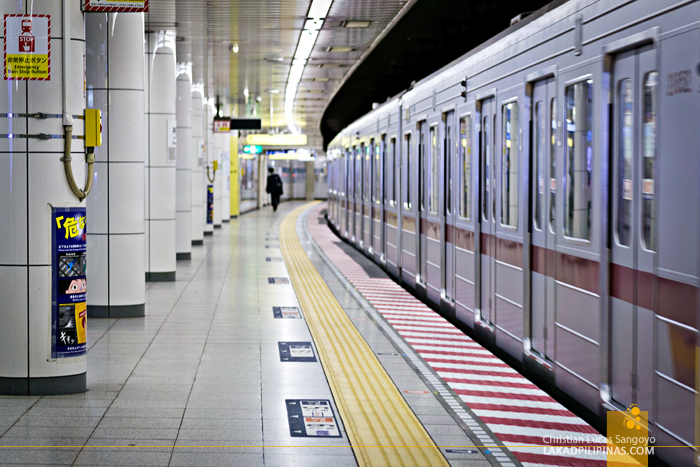 And as always, our Unlimited Tokyo Subway Pass saved us a lot of yens in traveling to all these places. After a painless redemption of our voucher for our ride to the airport later, we went out of Ueno Station for the nearby park. From Google Maps, I saw how large this park was—one of the biggest in all of Japan—what I didn’t know then was how historic it was. 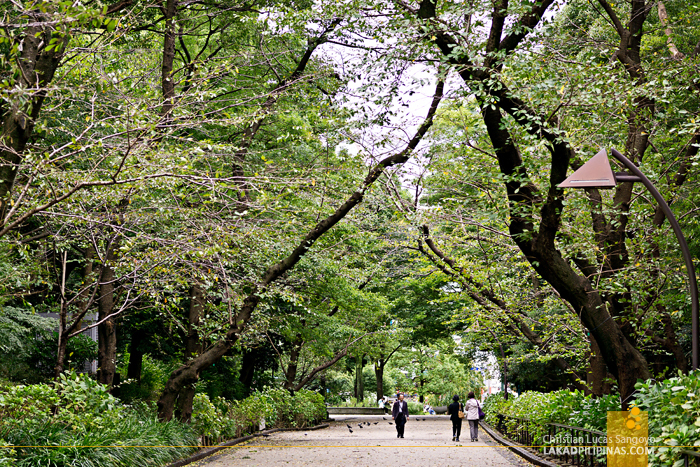 The park was built from the ashes of the Battle of Ueno in 1873. 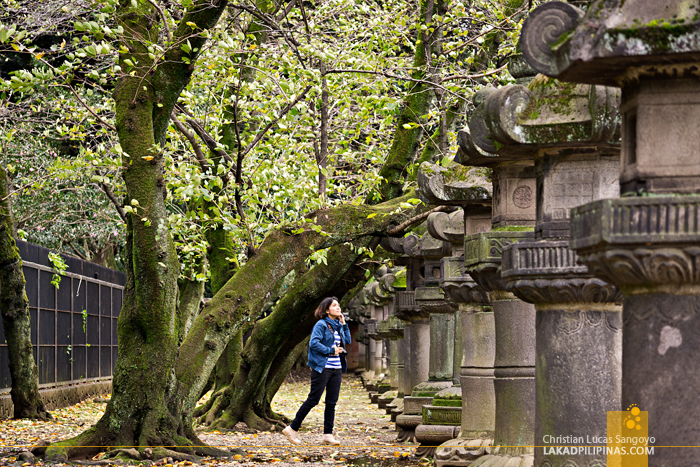 It’s one of Japan’s first western-style public parks. 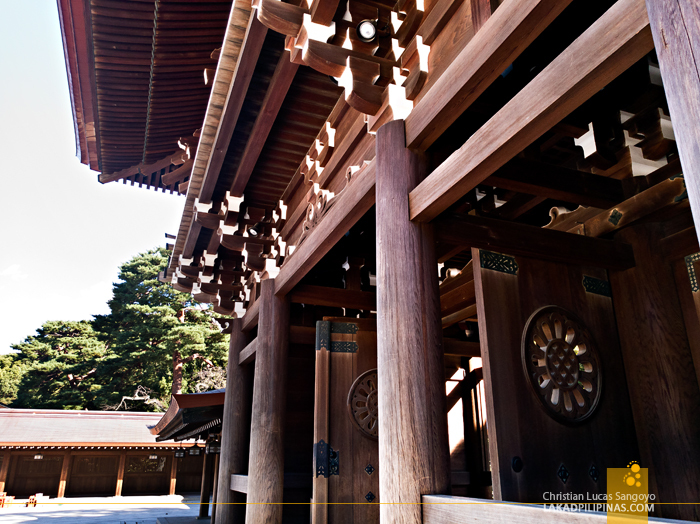 On its sprawling grounds lie numerous museums, including the Tokyo National Museum, ancient temples that survived the Boshin War including a five-storey pagoda, the Shimizudō, and its main gate, all of which are designated as Important Cultural Properties of Japan. 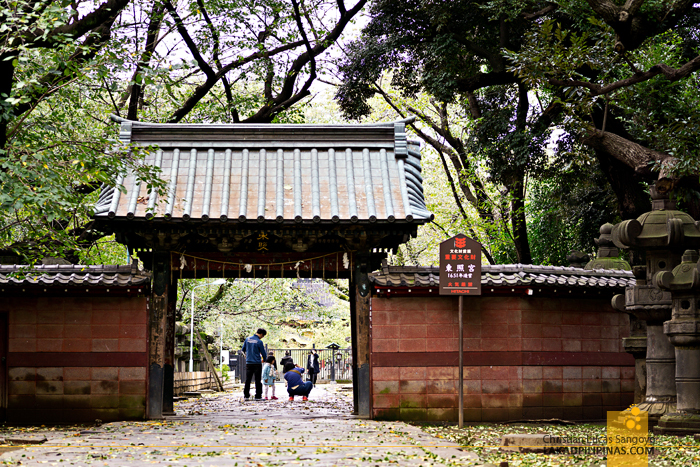 Another important structure in the park, built in 1639, is the Ueno Tōshō-gū where Tokugawa Ieyasu is enshrined. Having limited time, we saw only a few of these as we aimlessly roamed across its tree-lined paths which transforms to a cacophony of pinks during cherry blossom season—the park and neighboring areas has no less than 1,200 sakura trees! It took a few inquiries before we got out of Ueno Park. The sun was finally shining but it was still quite cold even with our coats on. 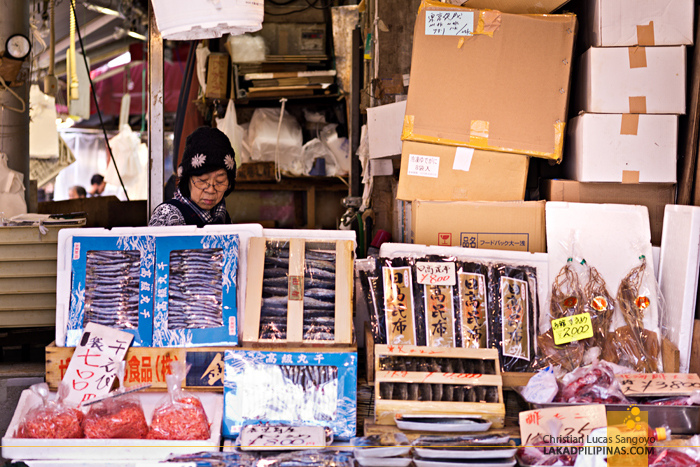 Looking for a train station to the Tokyo Tower, our feet accidentally led us to Ueno’s vibrant Ameya Yokocho Market. 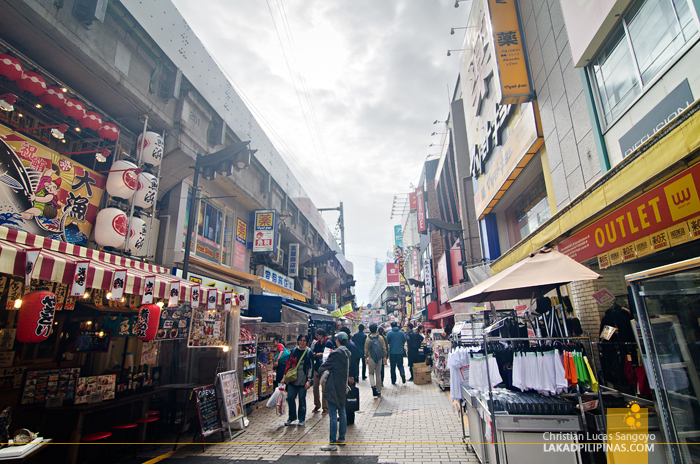 Dubbed by locals as Ameyoko, a shortcut of its proper name which actually means candy store alley, I haven’t seen anything like it on my visits to Japan. It’s a half-kilometer long informal sidewalk market hawking everything from cheap meals, fresh and dried seafood, clothing, electronics, packed foodstuff—flavored Kitkat chocolates are really cheap here—and heck, even electronics. It’s a very Japanese controlled chaos. 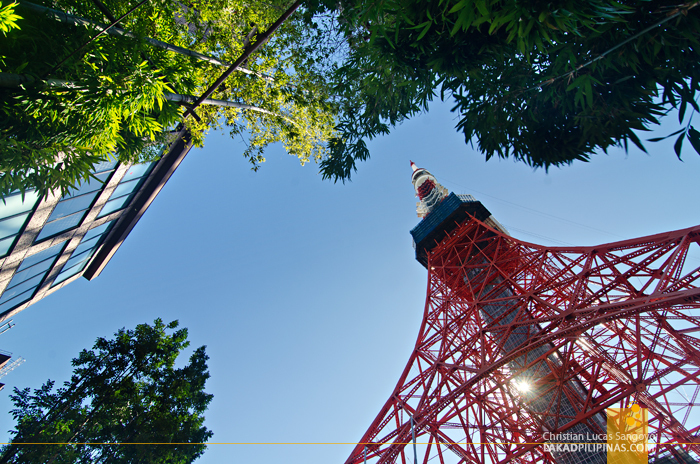 FINALLY, BLUE SKIES IN TOKYO! The street market sprouted after the Second World War as a sort of black market for American products. Now, it’s mostly frequented by locals, well besides tourists like us who accidentally found it on our way to the trains! Lol! BACK AT THE TOKYO TOWER! After four years, I’m finally back at the iconic Tokyo Tower. It was almost midnight, the first time I visited it and it was quite striking back then—the tower all red and lighted up against the dark sky. Now, I got to see it in daytime, which somewhat made it look more ordinary. It looked like what it really is, a TV station broadcast antenna. 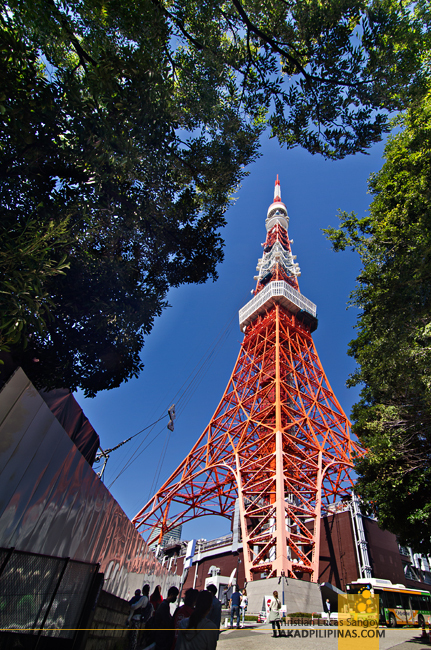 At 333 meters high, Tokyo Tower used to be the tallest structure in all of Japan from its completion in 1958 until it was surpassed by the Tokyo SkyTree in 2012. Still, it clings to its title of being the world’s tallest self-supported steel tower, outgunning its actual model, the Paris’ Eiffel Tower by thirteen meters. 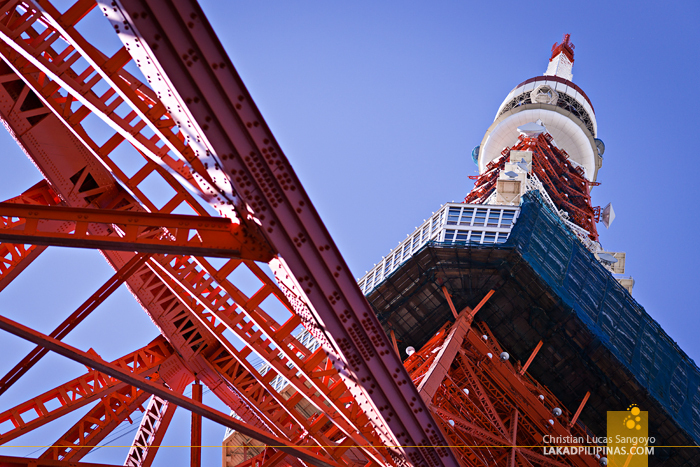 Visitors can actually go up this giant antenna for a birds-eye view of Tokyo on its main and top observatory. This can be reached either via elevator, or if you’re more adventurous, via a 600-step staircase—both of which have the same ticket price, by the way. You’d know where we’d head to, of course! As of the moment, renovations are underway on the tower’s upper deck. The main observatory is still open, although one of its four sides is also being retrofitted. 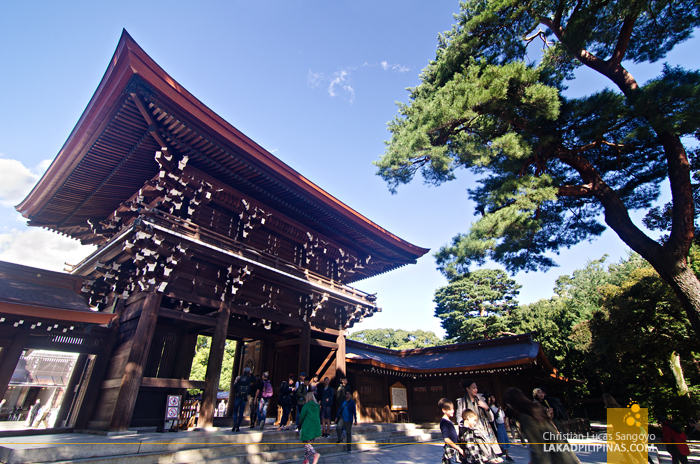 Meiji Shrine was on my list the first time I visited Tokyo but I didn’t quite made it. 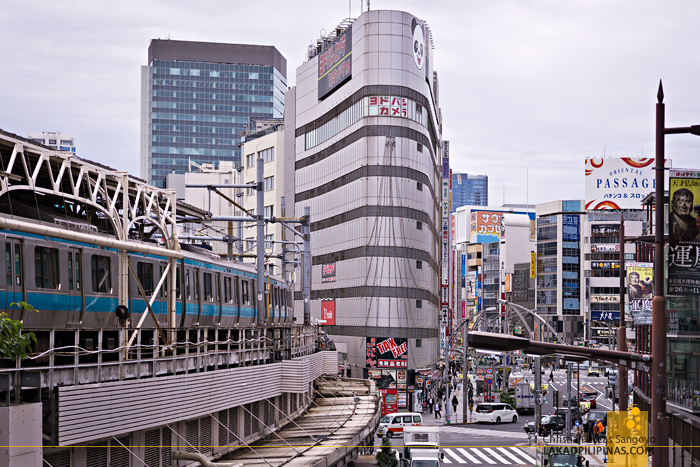 This time, with a couple of hours left before we head to the airport, we alighted at the stylish Harajuku Station and were able to see one of the most famous shrines in Japan. 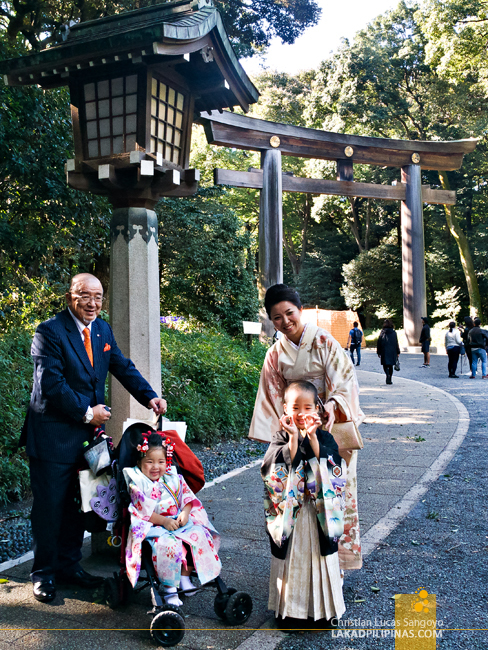 I didn’t quite know what to expect when we visited Meiji Shrine. 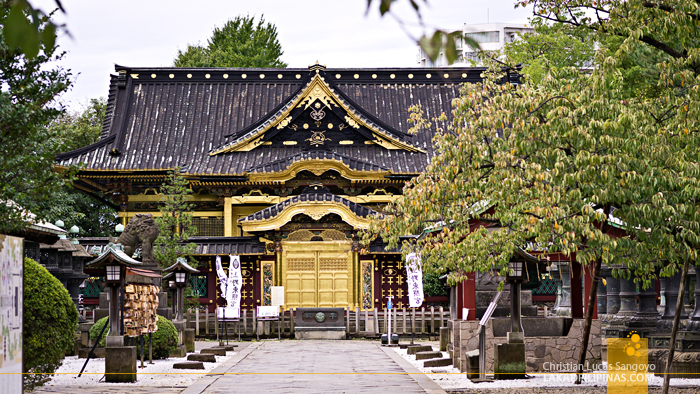 I know that it’s dedicated to Emperor Meiji and his consort, Empress Shoken, and it has temples, but that’s about it. I was totally unprepared for the forest that surrounded us as we entered its ground. 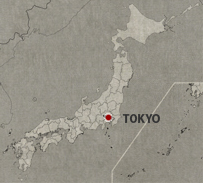 Spread on seventy hectares are 120,000 trees of 365 different species, a forest project with donations from all over Japan. The transformation from a highly urbanized metropolis to a forest was so complete that I was stunned for a moment, it was surreal. 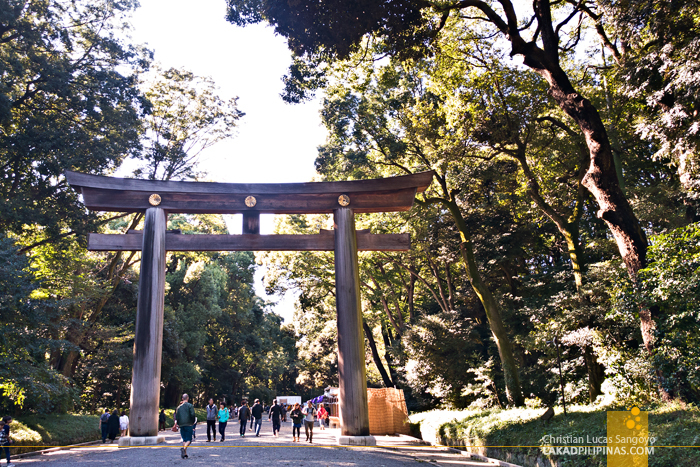 A few minutes in and a giant wooden torii greeted us, signaling one of the two gates of the shrine. 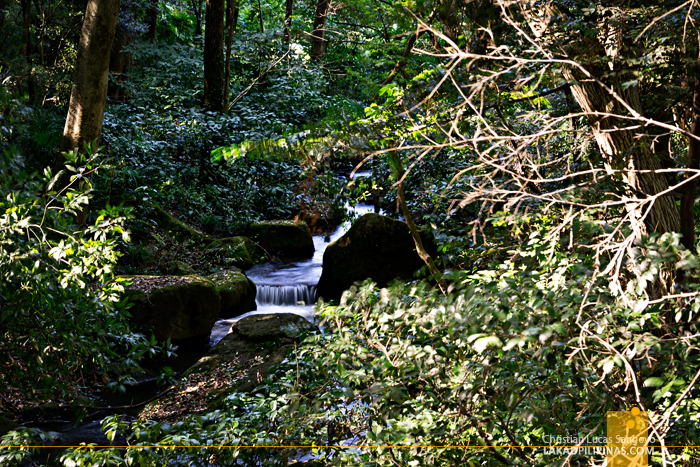 Being a weekend, the woods was filled with people, both local and tourists. 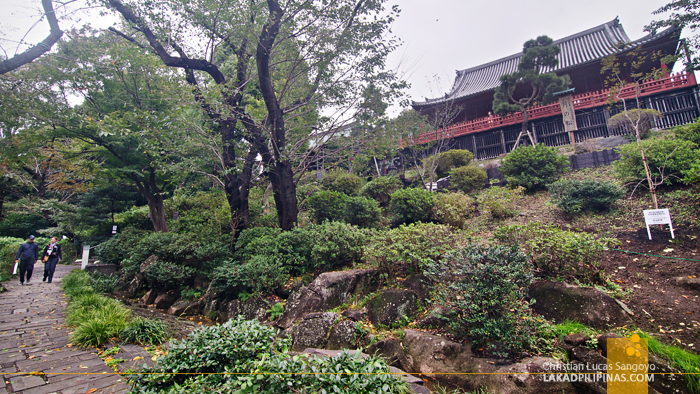 The air felt much colder, no doubt due to the thick foliage. 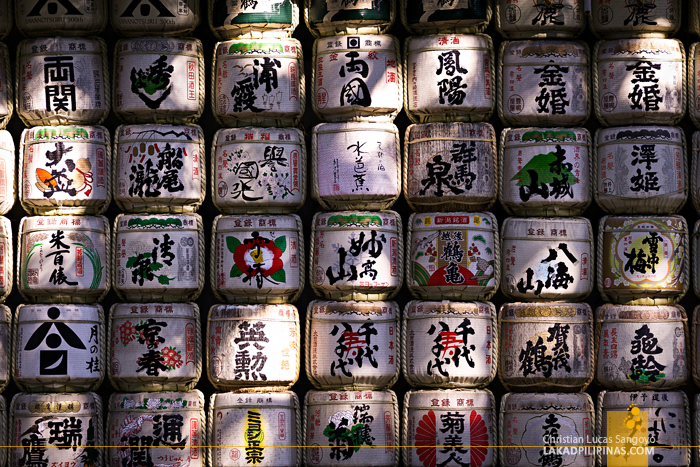 We passed a collection of vibrantly painted sake drums before finally arriving at the shrine. These graceful structures were built in the twenties, eight years after Emperor Meiji died, but it doesn’t have the actual gravesite which is actually located at Fushimi-momoyama. To be honest, I enjoyed the forest walk more than the main shrine building complex. There are still a few more places to see on the park, like the Inner Garden, Treasure Museum, Meiji Memorial Picture Gallery, a stadium, and a memorial hall, but it was just time to go. Our extra hours in Tokyo just ticked to a close. ► KLOOK & CEBU PACIFIC AIR MADE THIS TRIP POSSIBLE. VIEWS & OPINIONS ALL MINE.